Unless you are planning to spend a week in a villa in the countryside (most rent by the week, starting on Saturdays), we suggest one base of operations: We recommend settling in one city and in addition to enjoying the local sites, take day trips. Day trips allow you to expand your area without the considerable effort and logistics of packing, checking out, finding a taxi, trip to the station, train to location, taxi to location, check in, find grocery store, unpack… You lose a day with each move. If you really want to stay in two locations then fly into Venice and spend two nights. 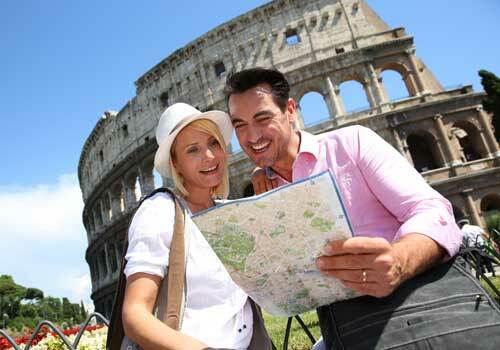 Then travel to Rome for the remainder of your trip and fly out of there. Because vacation rentals and hotel rooms aren’t usually ready for check in until the afternoon, the flight connection onto Venice leaves you less, if any, waiting time for your accommodations that day. Also the boat trip from the airport is a wonderful experience that hasn’t changed much in centuries. 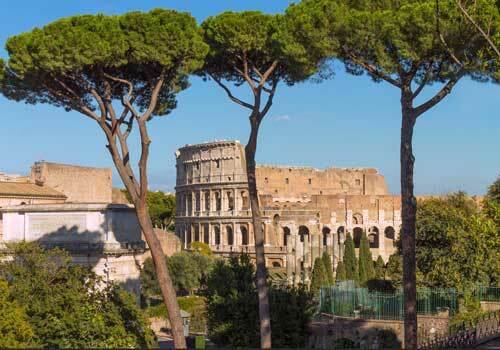 Another efficient arrival process is to fly into Rome and time your arrival to take a direct train from inside the Rome airport to Florence or Venice; there are just a few such schedules. Check at Rail Europe and search for Rome airport to Florence, then select direct trains from “Fiumicino Aeroporto” to “Firenze SMN” or to “Venezia S Lucia”. 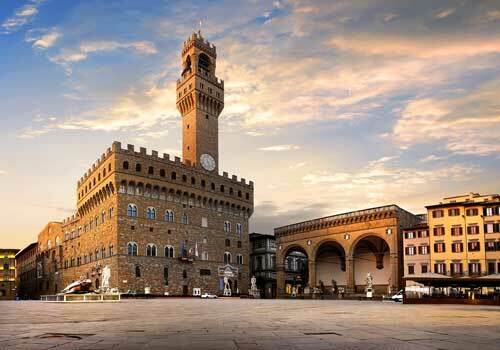 Best bases for your one week in Italy are Rome and Florence. These cities are rich in art, architecture, history, food, wine and music. There is something for everyone. They have good train connections and tourist services for your day trips. Ostia Antica, Cerveteri, Tivoli and Viterbo. It was great reading your blog, very nicely executed. I haven’t visited Italy yet, but after reading your blog, would surely love to visit ASAP. Thanks for sharing such a fantastic blog and awesome pictures.